If you're not used to grilling a whole chicken, there is a chance that your finished bird will come out too dry. 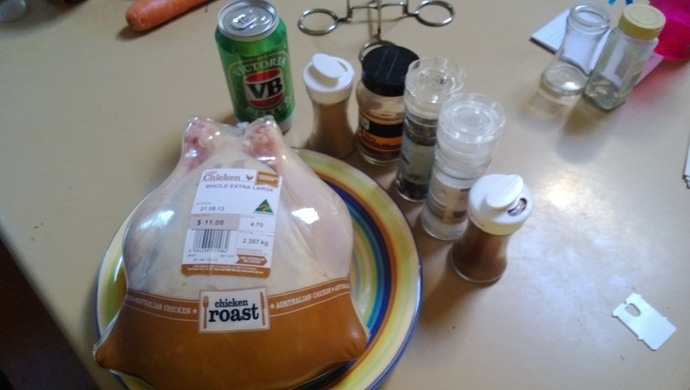 Adding a half a can of beer to the cooking process keeps the chicken moist while adding a slightly unique flavor to the meat. 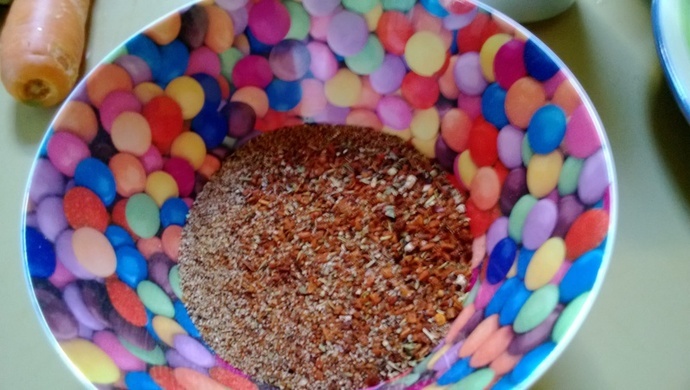 Place of of the spices into a bowl. Mix together well and set aside. 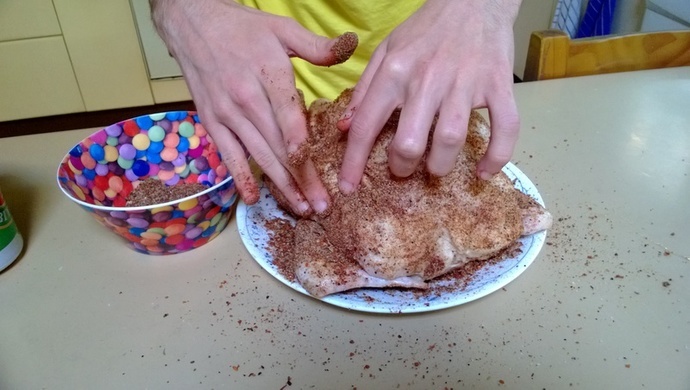 Cut the plastic wrap off of the chicken and pat it dry with a paper towel. 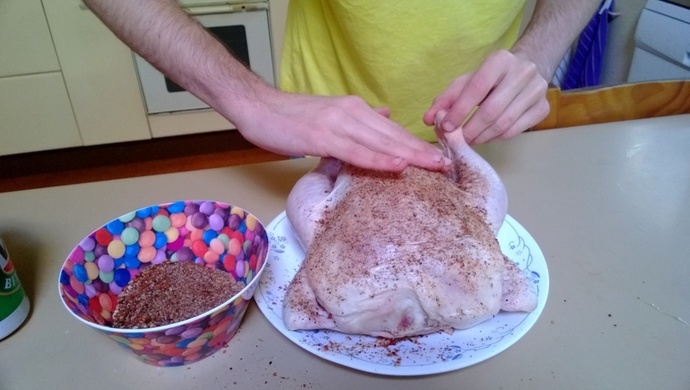 Place the chicken on a plate and begin to season with spices. Place the half-full can of beer in a beer can holder and place it on a plate. 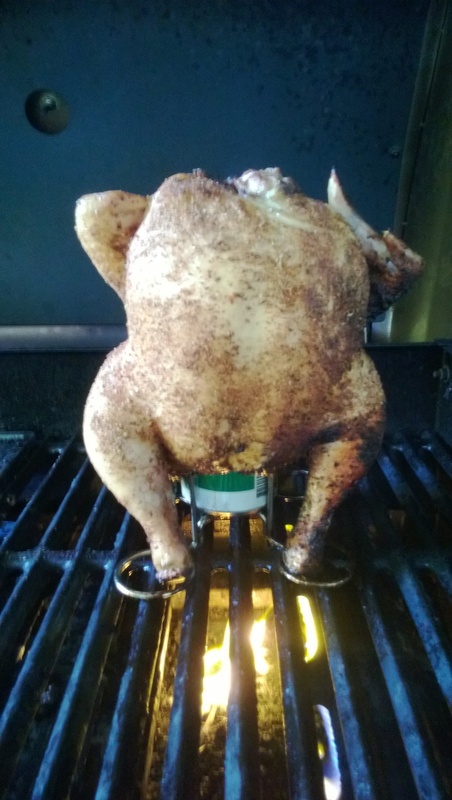 Open up the bottom cavity of the chicken and slide the chicken over the beer can. Place the chicken on the grill. Cook on a medium heat for 1 hour, 20 minutes or until the chicken's juices run clear. If the grill begins to flare up too much because of dripping beer and/or grease, turn off the burners until the flames die down. 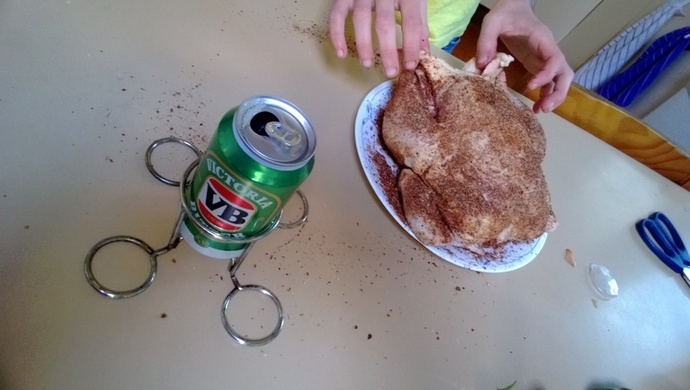 Remove the chicken with the beer can and place onto a plate. Slowly pull the beer can out of the chicken, and enjoy! 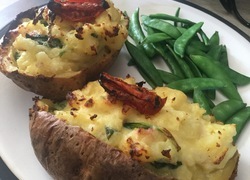 Serve with vegetables. Can't believe there wasn't the instruction to 'wash chicken thoroughly under cold running water'! I'd NEVER take a chicken out of its' wrap & just commence covering it with ingredients. WOW ! What a great Idea ! i have never heard of it. sounds and looks delicious. definately i have to try this with my kids while my kids are in vaccation.. very good great idea.. thanks. 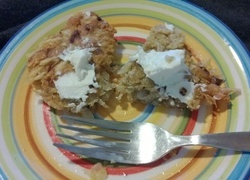 Believe it or not, but I've heard that you can do this same recipe, except with root beer, birch beer or cola in a can. Pretty interesting! Don't waste the remaining half can of beer. Be sure to drink it while cooking! Thanks Tom I will try this over the Labor Day weekend and let you know how it turns out! Can beer be used to cook any bird, like turkey, pheasant, duck, Cornish hen? Great idea! Beer with anything makes it better!